Well, what a weekend that was. I got to host friends from Chicago, White River Junction (VT), and even Berkeley, and had a genuinely great experience selling my comics at SPX. I was also honored to be asked to donate my comics to the Library of Congress' Newspaper and Current Periodicals Reading Room as part of a new project with SPX. Anyways, there's a new issue, and you can buy it! 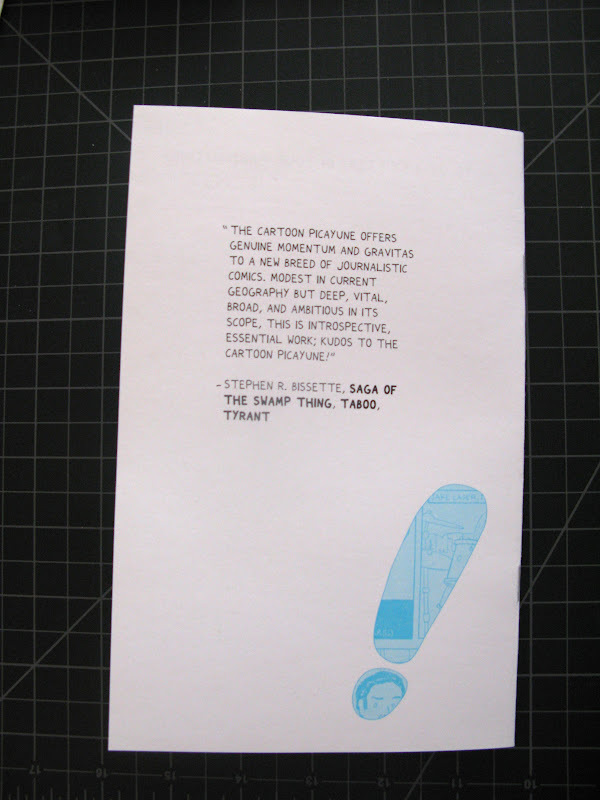 Copies of #2 are available starting TODAY, and can be bought on the updated Comics page above. Also, check out the new subscriptions page! 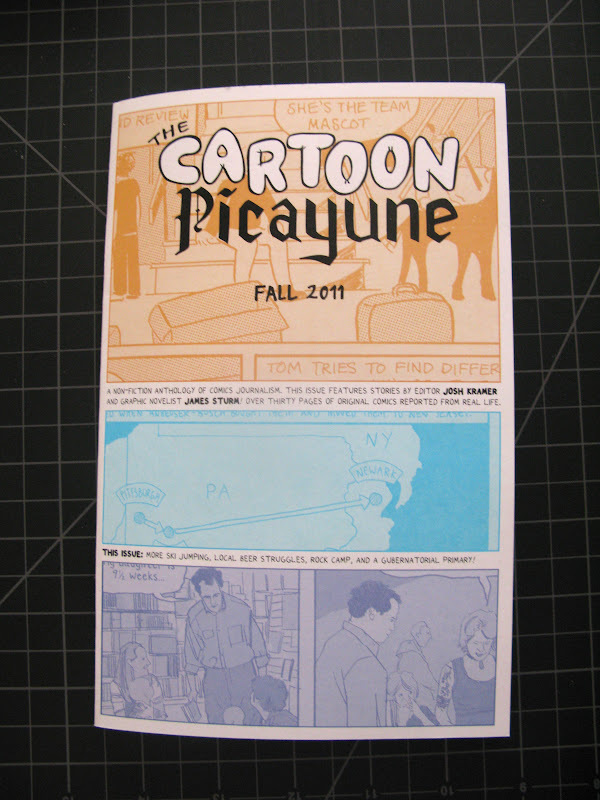 You can now subscribe to The Cartoon Picayune like a magazine and receive handmade comics in the mail. Start today if you like and receive #2 as your first issue. Oh, ho ho, what's this, dear reader? 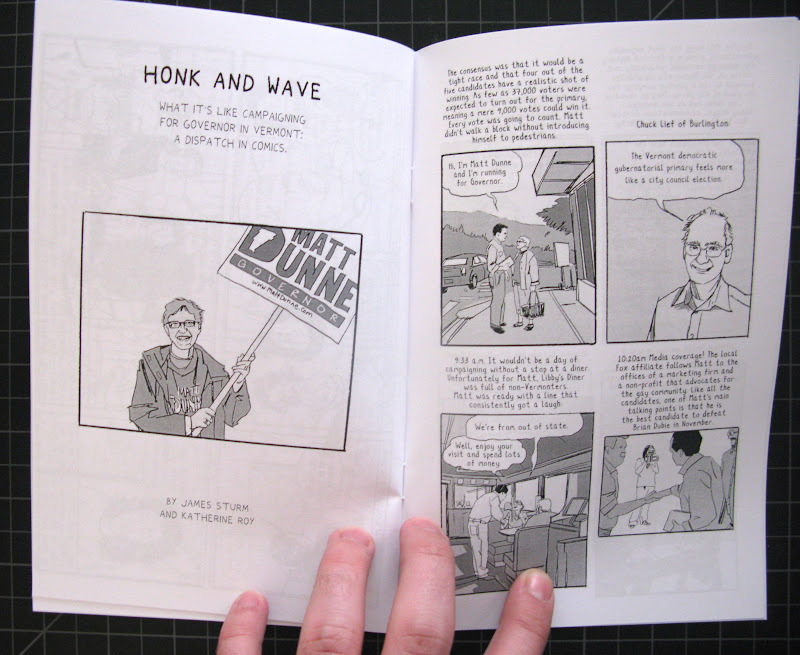 Why it's an excerpt of the story by James Sturm and Katherine Roy. It's all up on Slate, but we're proud to have it as part of The CP as well. Thanks for the great quote, Steve! One last thing, if you're afraid of starting Fly by Night in the middle if you start with the new issue, you can read the whole first part here now, completely for free. ‘Arn » « Fall 2011 (Issue Two) Debuts!